يشكل Epsom Motor Inn بموقعه الممتاز في أوكلاند نقطة انطلاق جيدة لاستكشاف هذه المدينة النابضة بالحياة. يمكن من هنا للضيوف الاستمتاع بسهولة الوصول إلى كل ما تقدمه هذه المدينة النابضة بالحياة. يشكل هذا الفندق ملاذاَ مريحاً للاسترخاء ويمنح زواره فرصة للاستجمام والتجدد، وهو يقع على بعد خطوات من المعالم السياحية الكثيرة للمدينة كمثل: Bupa Cornwall Park Hospital, ابه اس بي شوجراوند, الكسندر بارك. يعمل Epsom Motor Inn على ضمان إقامة مريحة لضيوفه من خلال خدماته الممتازة وحسن ضيافته. تتضمن الميزات الرئيسية في هذا الفندق: مرافق مخصصة لذوي الاحتياجات الخاصة, تسجيل وصول/خروج سريع, تخزين الأمتعة, واي فاي في المناطق العامة, صف السيارات. في Epsom Motor Inn غرف نوم يزيد عددها عن 21 صممت بذوق وعناية لتوفر لك كل وسائل الراحة . بعضها يحتوي أضاً على تلفزيون بشاشة مسطحة, سجاد, قهوة فورية مجانية, شاي مجاني, مرآة. صممت خدمات الاستجمام في الفندق والتي تتضمن حديقة لمساعدتك على الاسترخاء والراحة. إن كنت تتطلع إلى إقامة مريحة وهادئة في أوكلاند، فستجد في Epsom Motor Inn بيتك الثاني. Microwave doesn't work. Hot water comes and goes, and can take 3 to 5 minutes to come from a cold start. Office is occupied even after 10am on a weekday. The redeeming thing to say is that it's cheap. If you look for a roof and a bed, it's absolutely fine. but this place was too much. I didn't read the reviews til after we booked the non-refundable so we even stayed twice. The first room had mosquito swarms because the window was stuck open (the solution was to give us a can of bug spray!) The second room wasn't what we booked and there weren't enough beds for our family, though it was all around cleaner than the first. Anything broken was DIY fixed (ie. shower head was taped into place, shower handle was a string through the door). First of all we had trouble finding the motor inn as the pictures on the website did not reflect the actual condition of the grounds. The height of the weeds around the rooms and coming through the concrete suggests an aversion to weed killer which is admirable however the untidiness also showed a lack of pride in the property by the owners. I did question my grasp of the English language as well! I had read on the website 'superb amenities' and actually looked up the word 'superb' to ensure that I had not been misusing it over my 50 years of experience. If by superb they mean: - an unused tampon rolling around in the drawer - peeling paint and Kmart stickers (XL and S) on the furniture - antique (rotten) bathroom cabinet - a 2012 water damaged copy of the Auckland Yellow Pages - a stagnant puddle full of mosquito larvae on the 'patio' - a heat pump that blew air around the room On the plus side there was power, running water and the doors locked. Good location. The hotel need serious re buiding and to be maintain. The photo does not represent the actual and current conditions. Our air conditioning not working, hot water not working properly. The building need to be repainted or refurbish. We read reviews and expected the very worse scenario. Location is very good, close to motorway eating establishments only a few minutes away. Driving into the motel it was indeed very tired looking. Staff at reception were very polite. 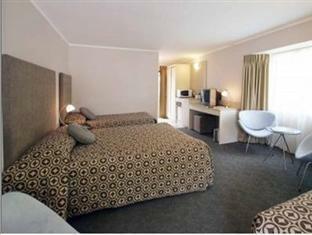 Upon entering our motel room we found bed linen and towels clean. Carpet and furniture below par. Shower was barely adequate as the height could not be adjusted (tied together in insulation tape). 1 cup and no eating utensils or plates, no glasses. Hardly the 3.5 star rating as stated. 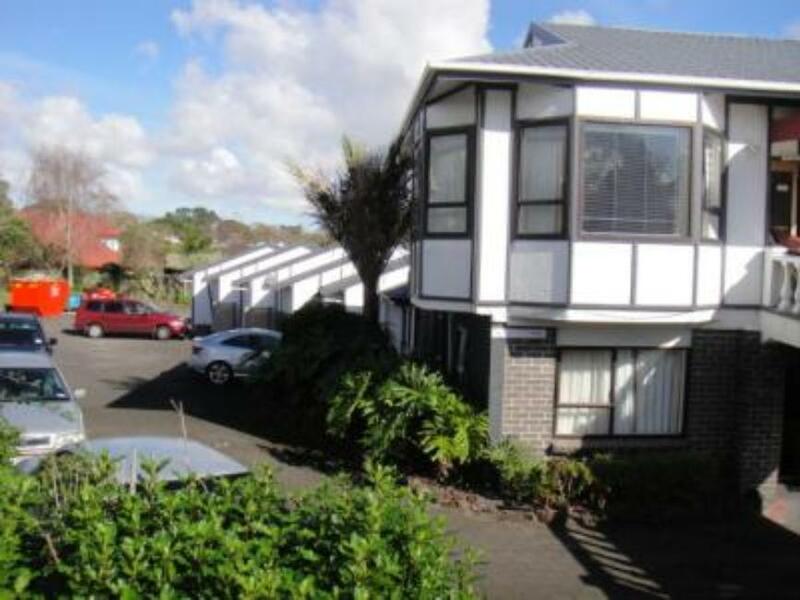 The place looks nothing like the pictures, we were told that the owners had not done any maintenance on the motel for years as they were just waiting to knock it down to put up apartments....It showed. Our Aircon unit was held up by a chair, there was mould everywhere. No utensils, only one cup and that was it. There were stains on the bedding, grime, moss and mould in the bathroom. The door was half off the hinges and boards swollen from water damage. No ceiling lights - just a lamp for lighting. The weeds were higher than the hedges and the buildings were rotting away with missing boards and guttering rusted through. Only enough hot water for one person to have a quick shower. This place should not be allowed to operate as a motel, it is dangerous and could cause sickness. We were not the only people that turned up that were discussed. Others demanding their money back from expedia etc. I took pictures to show people as I just could not believe this was advertised at all. Ended up sleeping in my car as place was really bad and staff was not prepared to clean up the place and told me that all the other rooms were in the same condition.Was offered a refund but could not find any other accommodation.Send your website an email last week Thursday and up to now no one bother getting back to me. Cheap enough but not recommended! The shower wasn't clean enough. The shower head was hanging on the floor as the holder was broken. There were no cutlery or crockery - had to ask for it. The main area was tidy enough. The big bed had a spring massage system - if you wanted no sleep!! The glass back door had to be slammed shut. Rubbish wasn't removed when towels replaced (after two days)! We were there for 3. The place itself is only 10 minutes away from the city centre. Location was great and only a few minutes away from the nearest grocery shop. Keep in mind that for the price I guess it's just a place to sleep and shower. The establishment itself is quiet old and of course with that comes a few smells and cracks(slugs got into the room during rain). There was no remote for the airconditioning which was hard because it was freezing at night and they only have a little coil heater which doesn't do anything. Lights were dim and the main ones in our room did not work. Keep in mind this is a budget place. So even though tea and coffee are provided. There are no cups ro cutlery. On the up side, you can see despite the age of the property the bathroom and beds were cleaned. Room was cold and heating did not work. Room smelt very strongly of bleach. The bed was made but previous occupants dirty sheets were left beside the TV. The flooring and bed covers were marked, sheets and pillow covers were clean. Fridge was dirty and had hairs. Bathroom walls were covered in dust and hairs. Shower surrounds were blackened and ceiling also had hairs. Toilet roll holder had no toilet paper, although this was found under the bathroom basin. Very run down, dirty and disappointing, even for the cheaper price, I will not return. I called the reception about my late check in, it was difficult since reception was not picking up the phone and when they did, she/he was very rude and when we check in, the blanket had stain for both rooms [we checked in 2 rooms]. Hot water was not there for one room and one room was unable to control the temperature, either too hot or too cold. One room was connected to the other room and there was no soundproof, We could hear the other room until 1 am and then 5 am in the morning. We woke up with the rashes from bed bugs. I'm not sure that they've ever changed the blankets and sheets or not. We don't mind if it's old and it's dirty. It was not a nice stay at all. Traveled with my partner and my baby, the place was more than we expected. We arrived late on the 31 of december and the receptionist had arranged for us to receive the key. 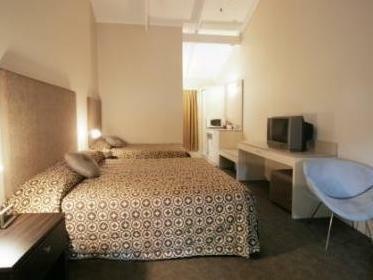 the room had many amenities, it was clean, and at a very good price. I would definitely recommend it. quite a tight carpark especially if you're on a big SUV. You might need to park at the other side of the motel and not at your doorstep. Some utensils are not properly washed but we managed to wash them ourselves and rinse with boiled water.